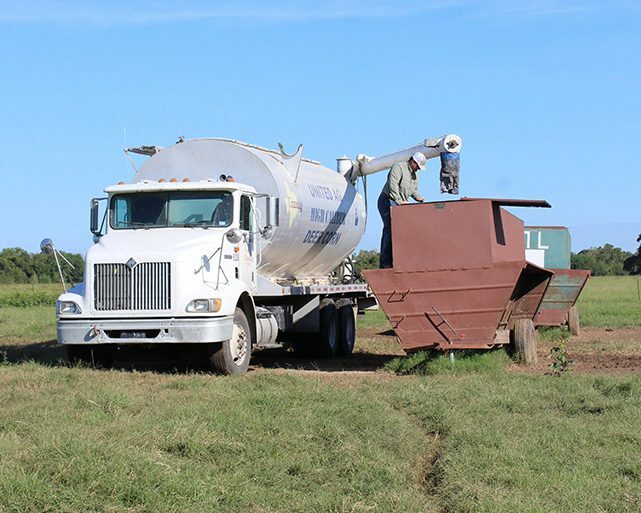 United Ag recognizes the importance of being able to deliver bulk cattle rations to ranchers in a timely manner. Therefore, we have expanded our fleet to include a bobtail feed truck, 6 ton tender trailer, 3 bulk feed trailers, and 3 tractor trucks. 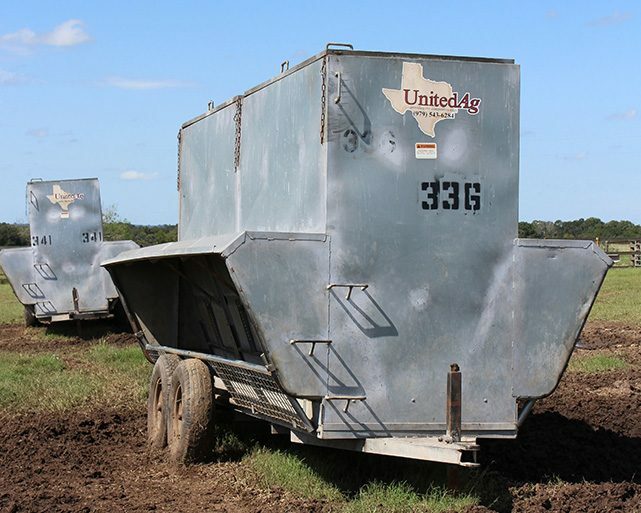 Each bulk feed trailer holds approximately 21 tons of feed in 3 ton compartments. 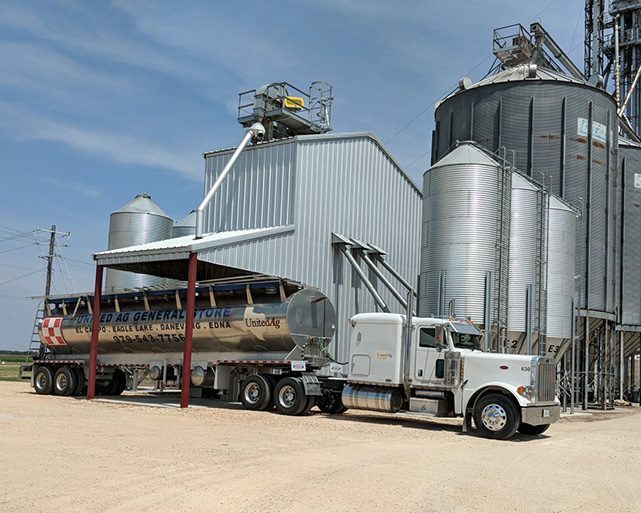 United Ag has an extensive bulk feeder fleet to provide seamless delivery as well as reduce labor time and expense for ranchers. Over the past few years we have been transitioning our bulk feeder fleet to 6 ton galvanized feeders with a poly bottom and heavier axles. This has allowed us to minimize repairs and maintenance as well as extend the life of our feeders. With the ever changing cattle market, United Ag helps ranchers to minimize the risk associated with selling their calf crop. Ranchers can forward contract their weaned calf crop to lock in market values to protect themselves from market fluctuations. This also allows ranchers to help forecast their break even costs. Another way United Ag can help ranchers is to hedge their calf crop. Ranchers can purchase a put to protect themselves from the downside of the market without paying margin calls.